As I surf the web, I sometimes come across blog posts where the blogger reveals how he or she manages money while on the road. And because these location-independent bloggers have done a great job at explaining how they support themselves, I feel like interviewing them would only repeat information that’s already available on their own websites. So I decided to present some of those blog posts here. I have chosen five location-independent bloggers who have continue to make money as they travel. Because these are prominent bloggers, they may also make money from their websites. But as far as I can tell, they can all survive without blogging income. Because it’s been a while since some of these blog posts were written, I also reached out to these location-independent bloggers to check if they have any updates. Talon took his son on an adventure with only $900 in his savings account. He has secured some work before leaving and continues to find gigs as they travel. Talon has worked as a medical transcriptionist, writer and scuba dive instructor. That article is still accurate. I think I mention this in the post, but basically I want to emphasize to people that they really are only limited by their imagination. 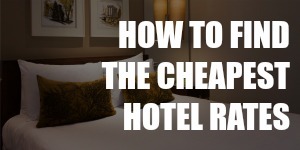 There are SO many ways to earn and save money while one travels. I really encourage people to think outside the proverbial box, make a list of ALL the things they LOVE to do and see if just maybe one or more of those things couldn’t become an income stream for them. When we first began our trip, doing medical transcription and freelance writing were my main income sources. We were traveling for just over a year before the blog started making any income, and it was about 1-1/2 years before it became our primary source of income. This Canadian had her first taste of travel while escaping Canadian winters on family trips. She continued to travel in college and moved to South Korea when she graduated. She teaches English in South Korea and writes for various online publications. We are not traveling now, but yes, that is still how we fund our lives. If we were to take off, not much would change in the financial arena. Shannon was working online as an SEO consultant in LA when she decided she needed a change of scenery. When she told her dad that she was thinking of moving to Boston, he said, “Well, you can pretty much work from anywhere, so I say do it.” This one sentence gave Shannon “an epiphany of sorts”. She bought a one-way ticket to Australia and has been traveling ever since. I still do the SEO and online consulting for sure, and that pays the bulk of my bills each month. My book is now out, but the income stream from that is negligible really. The book has brought me some great press, but it was a self-published book and so it is not and was not published for the money-making part of the equation. My website brings in a very modest (maybe 10% of my monthly earnings) income through Amazon affiliate links. Hope that helps. The consulting remains the way I fund traveling! Instead of going to college, Marcello took out a $25,000 student loan and invested it in stocks. The stock market beat him and he lost all that money in one month, but he didn’t give up. Today, after almost 10 years of day trading, Marcello only has to work one or two hours per day to generate enough income to travel. 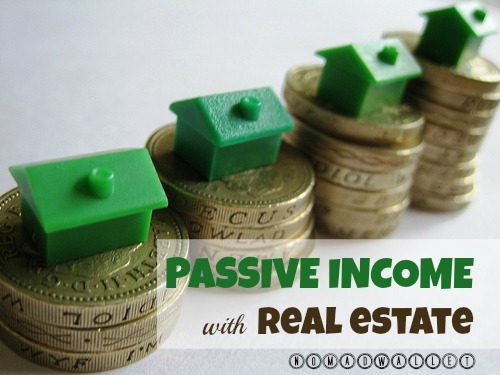 Travel With Passive Income: Is It Really Possible? Thanks for sharing these, always nice to see how others do it. Personally, I’m from the U.S., living in Goa, India at the moment. Sustaining on savings and eCommerce consulting/digital marketing strategies, etc. It’s really interesting to see how other bloggers fund their travels, and as we have future travel bloggers following us we’d be really happy to share this post. It’s quite strange to see the differing ways that they all make money, from medical work to the stock markets! Glad you enjoyed the read, Milene. Building websites can be quite lucrative for sure; it just takes a lot of time and effort. And you’re right, there are a lot of other options, depending on your skill set and preferences. Great list of bloggers and breakdown. Travel blogging definitely isn’t this magical money source that many people think. Most of the even the top bloggers rely on alternative sources. Travel blogging definitely isn’t an easy fix! It takes a lot of time and effort to build income from it. Great article and a great website with lots of good advice. Interesting post. I agree with Talon when he says people are only limited by their imagination. My fiancé and I just became digital nomads and we are constantly bouncing around ideas on how to make $$$ a couple of which that are actually working for us!!!! Very interesting! We are hoping to be fully location independent one day and we’re on our way. It takes a lot of work and dedication but if you really want to do it, it’ll happen! 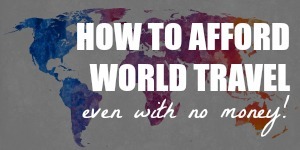 Always very interesting to hear how prominent travel bloggers do it, great inspiration! It’s a dream for many travelers, I think. And it helps to see that ordinary people have done it and it’s possible. It can be tough, but it will be worth the effort! Yeah. It’s so great to travel and be able to work. My girlfriend and I are doing the same and like a couple of the people mentioned in the post, we are also doing some freelance writing. 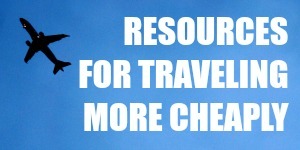 It’s a great way to finance your trip. That’s awesome that you found a way to finance your travels! Some travelers have property, it doesn’t have to be a hindrance. Instead, it could be a way to earn passive income while also possibly enjoying some capital appreciation too. :) Whatever you decide to do, all the best! 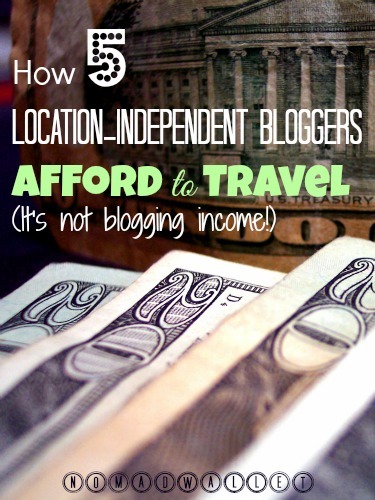 Very interesting to read how other bloggers manage to make a living while traveling. I know, right? I know that if I were born even 5 years earlier than I was, I would’ve ended up an unemployed bum. I have a huge problem with having to wake up at a set time in the morning, which means I’ll be fired for being late all the time. Plus I don’t like having a boss and I lose interest quickly if I have to do the same thing every day. Thanks for the awesome post – it comes at a perfect time as I’m researching ways to live cheaply while on the road, and also how to generate income at the same time. A round up like this makes it much clearer for me. Great post! I love how you put all of these great bloggers, with great ways to earn money on the road, all in one place. Teaching English is the way we’ve been able to earn some money as well, now it’s from the website. Being a dive instructor, yoga teacher, bartender or something would also be great ways to make some money while on the road. Thank you for the comment, Shannon! I agree, I find it fascinating how creative people can be when they’re really passionate about their dreams to travel. Thanks for including me! Although, I should point out that most of my income currently does come from the blog.